Please refer to the attached Water Restriction Notice which outlines our expectation that we will move to a 50% regime in the week before Xmas – most likely 23rd December. Conditions have deteriorated with inflows especially dropping of dramatically. 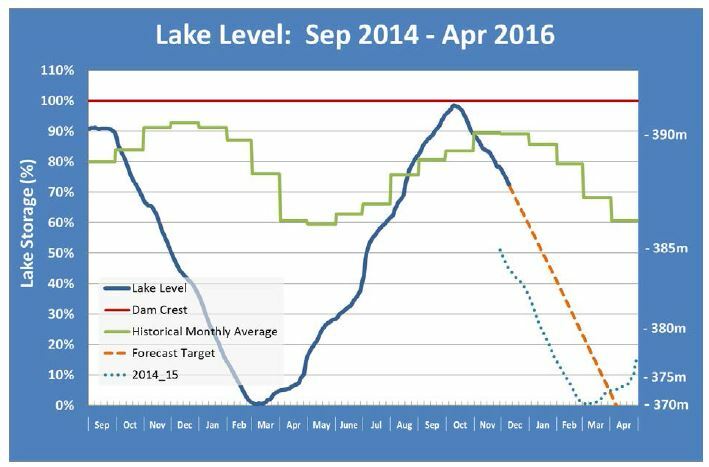 While we have been able to establish a buffer in the lake storage compared with last season, we are now drawing down the storage at a greater rate than this time last season. If we are to improve the likelihood of maintaining some level of continuous supply through the season, we regrettable believe we need to move to 50% earlier than the New Year. We will confirm this at the start of the Xmas week, but we would need a substantial rain to postpone the need for this next level of restriction.